Just a few days before Christmas! Most of your shopping is probably done and a lot of the food preparation completed. But in case it isn’t I’m going to compile several of our family favorites into one post. I’ll also give you a new one that we used for the first time last year. Such deliciousness! And healthy eating doesn’t have to be tasteless. If you’ve learned anything through my blog posts, I hope it’s that good for you food can taste wonderful! It may require a bit of a change in what your taste buds are used to, but it can be done. No need to sacrifice health for tasty food, or tasty food for health! For starters let me remind you of the drinkable chocolate pudding beverage recipe. I found this on Heavenly Homemaker’s site and made only a slight change. It’s like drinking a thin chocolate pudding! Serve this in a Christmas mug on Christmas Eve for a festive feeling. Our Christmas dinner always includes a holiday salad with dressing, turkey, dressing, sweet potato casserole, and last year we added a spinach casserole. It’s from the book The Transformation by local ND, Michele Menzel. She created this dish when she was unsuccessful at her attempts to make a healthy version of green bean casserole. I’m glad she was unable to as this spinach dish is amazing. It could even be used as a hot appetizer and served with veggies or crackers. Roasted vegetables are a wonderful addition to any meal. For something special roast Brussels sprouts and the last few minutes toss in precooked, crumbled bacon and blue cheese crumbles. I haven’t posted many dessert recipes, but a simple fruit crisp is easy and can be made using organic fruit such as apples or pears, or any type of frozen berry. Mixing the fruit is a possibility. Use apples with cranberries, for example. Thanks to all of you who have encouraged me in the development of this blog, who have commented and shared some of the posts! Wishing you a wonderful Christmas with family and friends, focusing on the blessings given by our gracious LORD and Savior, Jesus Christ! Preheat oven to 325. Mix all ingredients together. Bake covered for 25 minutes. Uncover and bake 10 more minutes. Optional: Saute the mushrooms in the butter and then add to the other ingredients. I did this last year and the flavor was amazing! 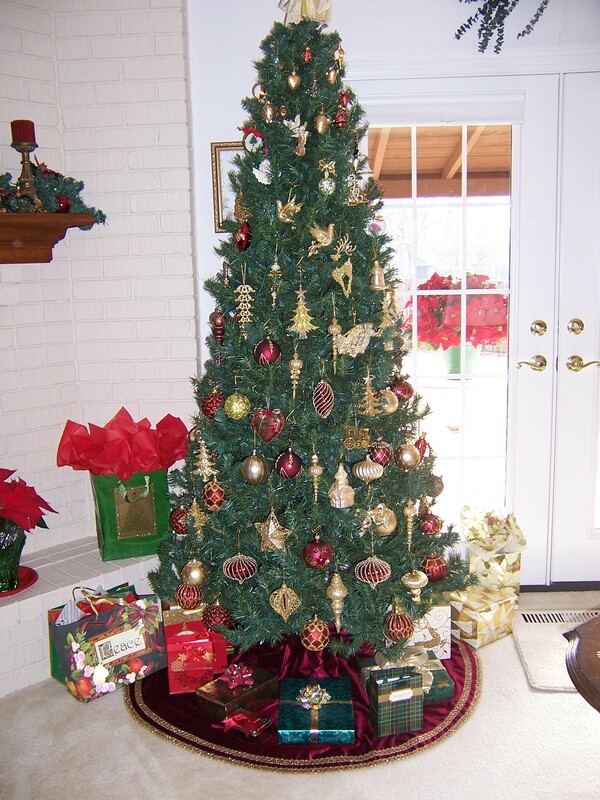 PS – Isn’t my mom’s Christmas tree lovely?! Previous Post Soaking in Your Ginger Tea? Next Post Elderberry Syrup – Tasty Immune System Support!